What to look for when buying a used Nissan Altima? The Nissan Altima is a mid-sized sedan that has been one of the longest-running Nissan vehicles in production. It was first introduced for the 1992 model year as one of the first vehicles Nissan began producing at its facilities in the United States. It replaced the Stanza. Some generations of the Altima include a coupe model as well. The Altima is entering its sixth generation as a model in the Nissan line. It is known as a nicely rounded family car with a low price point and excellent fuel economy. V6-powered models are often cited for their excellent driving characteristics. Most of the major complaints against the Nissan Altima happen from the third-generation (2002-2006 model years). Several class action lawsuits and other warnings are to be had for vehicles in those model years. Most are related to high-mileage (100,000 or more) in which some vehicles begin to consume large amounts of oil leading to eventual engine failure. Others include floorboards rusting out and deteriorating to near nothing. Outside of that third-generation, however, the Altima has enjoyed a reputation for being relatively long-lived and reliable. The Altima's fifth-generation (2013 model year forward) has been given acclaim for its well-tuned build, excellent V6 power plant, and exterior styling. Most Nissan Altima models, no matter the year, are well-respected for their good fuel economy and low cost of ownership. All model years of the Altima have enjoyed good or excellent crash test ratings. Competitors that used car buyers may wish to cross-shop include the Honda Accord, Hyundai Sonata, and Mazda 6. Most will find the Altima to be compellingly competitive. The Nissan Altima is one of America's top-selling vehicles, but not the top-selling car. It is in a battle with two of the world's best five-passenger midsized sedans, the Honda Accord and Toyota Camry. For 2019 Nissan has redesigned the Altima, added all-new drivetrains and a new interior. That was to be expected. What was not expected was for Nissan to add an all-wheel drive option to its Altima. 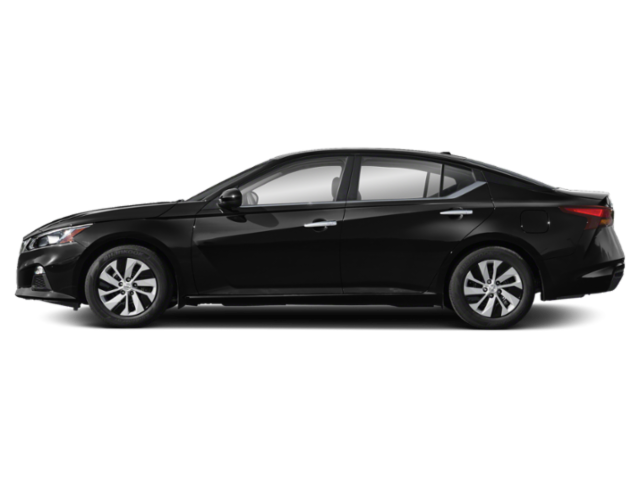 The Altima has many similarities to the Accord and Camry, but it is now different in key ways and offers things that neither the Camry or Accord do. Shoppers considering a new midsized sedan, particularly in colder climates will find a lot to like about this new Altima. This is the story of the longtime third-place selling Japanese family sedan in the United States. Long overshadowed by the iconic Honda Accord and Toyota Camry, the Nissan Altima has always seemed a bit like the little family sedan that could. It made you like it - not because it was a superior product compared to the competition, but because no matter the odds, year after year it went into battle chasing the segment's sales leaders. And despite usually having to use more incentives than Honda or Toyota, Nissan managed to sell numbers very close to the Accord and Camry sales, while offering shoppers a less expensive alternative. We appreciated our tester's new SR trim level, which alludes to an overall sporty temperament and feel. While the tighter sport suspension meant we could tell the 2016 Altima was more agile, as well as feels and sounds more refined inside the cockpit. SR models also gain a sportier leather wrapped steering wheel with shift knobs that almost let you hold onto gears until redline, as well as a subtle rear spoiler, and smoked lenses front and rear. The Altima always led with value, but some of its past interiors have had the potential quality shelf life of a 99 cent ball of red yarn the size of a grapefruit. (You'll never need that much yarn.) 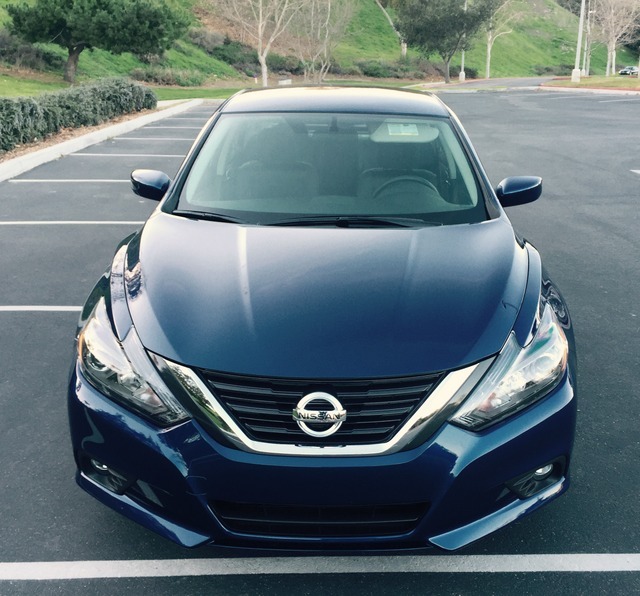 As for the Altima, in this 2016 form it might be just about all you need. So read on! The 2013 Nissan Altima is in its fifth generation of production. The 2013 Altima is the premier of the new generation and is actually one of the better economy-class midsize sedans on the market today. Reviewers and test drivers are impressed with the practicality and sportiness of the economical sedan. Materials quality is decent all the way around and the optional safety features strike the right cord. The only drawback to the 2013 Nissan Altima is the blandness of its exterior. Of course, that won't matter much to those who are shopping based solely on the important features - safety, economy, and performance. The one major change to the new model year Altima is in the powertrain. The continuously variable transmission (CVT) received a brand new overhaul and it appears to have helped its performance in most cases.